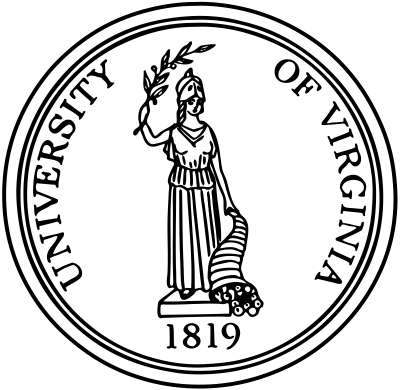 Today marks the 200th anniversary of the Commonwealth of Virginia chartering what became the University of Virginia, an institution which remains to this day one of the most prominent schools in the South. Indeed, the school boasts of its multiple disciplines and has numerous famous and accomplished alumni. The campus itself is beautiful and the architecture is something to marvel. Its reputation is such that the school has become a focal point for gatherings both good and evil. In 2017, for example, the campus infamously attracted a group of white nationalists who protested their grievances openly by torchlight. Other events on the campus, however, were not so dark. The point remains that UVA has become a symbol in its own right. UVA’s influence on the shaping of the American mind is ultimately traced to its founding. Thomas Jefferson’s dream of establishing a state-funded school of higher education came to reality late in his life and this also meant that it would be a school which reflected the rationalist worldview of its chief founder. Over time, Jefferson soured on his alma mater–the College of William and Mary–because of its lingering Christian ethos. Students there were required to learn and recite a catechism, not to mention Jefferson thought that the school was not adequately teaching the sciences. UVA was established, in part, as a way of correcting what he considered to be deficiencies within American education. The particulars of UVA’s creation were not only intentional, but revolutionary. It was the first institution of higher education in America to be founded on secularism. As much as was possible in the culture at the time, Jefferson wanted to create a school that was detached from any Christian influence. For example, UVA was created with no divinity school and was completely independent of any outside religious organization. Even the layout of the university was influenced by rationalism. Traditionally, a chapel would be placed at the center of a college or university. At UVA, the library would be placed at the center in order to emphasize the ultimate authority of human reason. While the Presbyterians and their allies had won the battle over men like Jefferson and Cooper, they lost the war in the long run. As the fires of revival faded into embers and then went out entirely, UVA was left with its rationalist foundations as its default educational philosophy. Indeed, no school can ever rise above the worldview of its founders. That history doesn’t go away and its baggage will remain in perpetuity. Going on the campus of UVA today, you’d never know that a revival ever touched the place. Like so many other colleges and universities, it’s a popular venue for evangelistic groups like the Gideons to distribute Bibles and proclaim the Gospel. In light of that reality, there’s an argument here for why Virginia and other States should have retained their religious establishments (or at the very least simply modified them). As many people have argued before, no civil government operates in a state of neutrality. And that reality extends to all of its chartered institutions. If the newly independent Virginia had humbly acknowledged the Lordship of Christ and declared herself to be a Christian commonwealth, then the creation of UVA as it was would have been impossible. UVA does indeed have a religious foundation and worldview, but it’s one which is a product of the so-called “Enlightenment.” As universities go, this has proven to be the norm in America–and our current culture is a testament to that fact. While higher education is certainly not the only culprit in the West’s cultural decline, it has made one of the largest impacts. Our society’s collective act of dethroning God and putting human reason in His place was the ultimate goal of Jefferson, et al. To that end they succeeded, having the University of Virginia as the template for their success. ¹ Ernest Trice Thompson, Presbyterians in the South–Volume One: 1607-1861 (Richmond: John Knox Press, 1963), 258. ³ Thompson, Presbyterians in the South, 259.